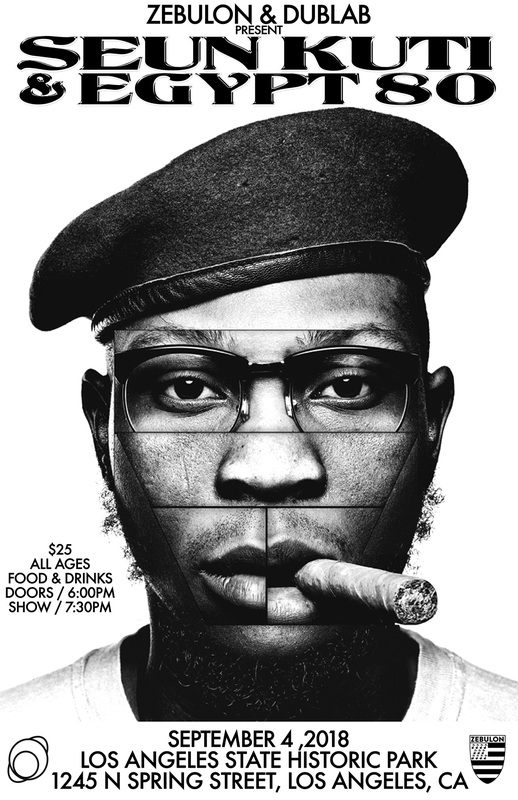 WIN TICKETS TO SEUN KUTI + EGYPT 80 AT L.A. STATE HISTORIC PARK ON TUES., SEPT. 4! Seun Kuti got started singing with his father Fela Kuti and now he leads the legendary Afrobeat outfit Egypt 80. Their Black Times album came out in March, and now Seun Kuti and Egypt 80 will be performing on Tues., Sept. 4, at L.A. State Historic Park, and we’ve got tickets to give away! Want to enter to win? Email rsvp@larecord.com with subject SEUN, and we’ll randomly pick winners before the show!